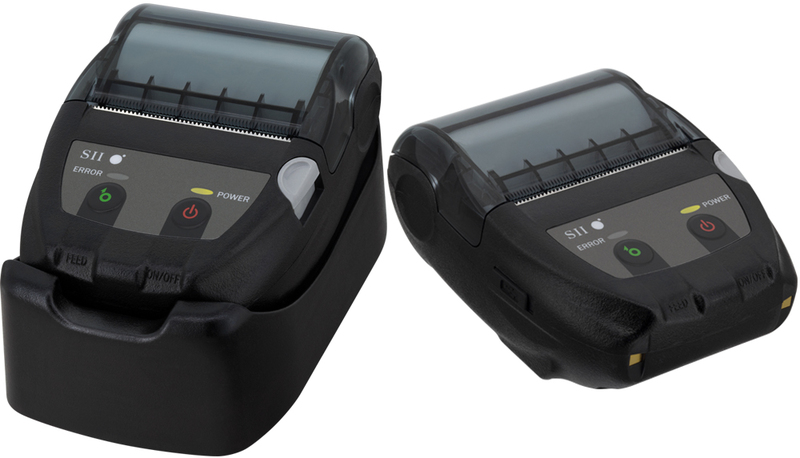 The mobile thermal printers are fi tted with high quality Li-Ion rechargeable battery packs. They enable an interruption free working day. The DPUS series is available in paper widths of 58 mm and 112 mm and is optionally fi tted with Bluetooth. Special highlight: The IP54 variant (Art. MP-A40). It will survive falls from heights up to 2 metres.